Describe the concept of performance-based design and how it impacts the energy efficiency of a project. Explain how to implement a performance-based design process to support the health, safety and welfare of building occupants. List the benefits of collaboration within the design team to achieve performance goals through the design process. 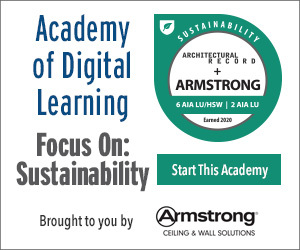 Identify financial and environmental advantages of a performance-based design process. When it comes to designing new buildings and major retrofits, architects are increasingly expected to create structures that are aesthetically pleasing and functional, as well as energy efficient and environmentally sustainable. The green building market has been growing steadily over the past decade, and it is estimated to now exceed 50 percent of total construction in the nonresidential market. Between this trend, and changes to energy codes and their associated requirements, architects must reach increased performance targets. Practitioners need to be able to adapt to these changes and think differently about building design. While the building performance goals have changed, many architects are still using a traditional design process. As a result, they are finding the task of meeting requirements focused on building performance related to resource use, occupant experience, and environmental impact to be challenging. Some of the more common problems with applying a traditional design process to achieve rigorous performance targets stem from the fragmented nature of the building industry. Indeed, the disjointed nature of today’s project-delivery methods works against achieving high-performance design. Complex projects often have so many stakeholders with different responsibilities that information is not shared early enough for informed decision making. The traditional design process puts most performance criteria, including energy efficiency, thermal comfort, and daylighting, into the hands of engineers and specialists, who are often not involved until after the architect has already established the fundamentals of the design. At this point, it may be too late to change suboptimal design decisions. Expectations for higher-performing buildings have prompted many architects to search for an improved and smarter way to meet design and energy-efficiency goals in projects. The rapid and fluid nature of modern design requires instant feedback and collaboration between architects, specialists, and engineers; however, neither architects nor engineers have historically had access to software tools that analyze designs quickly enough to keep pace with their ever-changing design needs. Traditional tools typically support only later-stage work: providing very precise, very detailed data based upon a fully fleshed-out and highly detailed design. New buildings are complex systems, and designers often find that meeting growing performance expectations can be challenging, especially if they rely on a traditional linear and sequential design process. In essence, building design—especially for high-performance buildings—requires a new approach. Achieving performance demands an iterative and analytical approach now known as performance-based design. 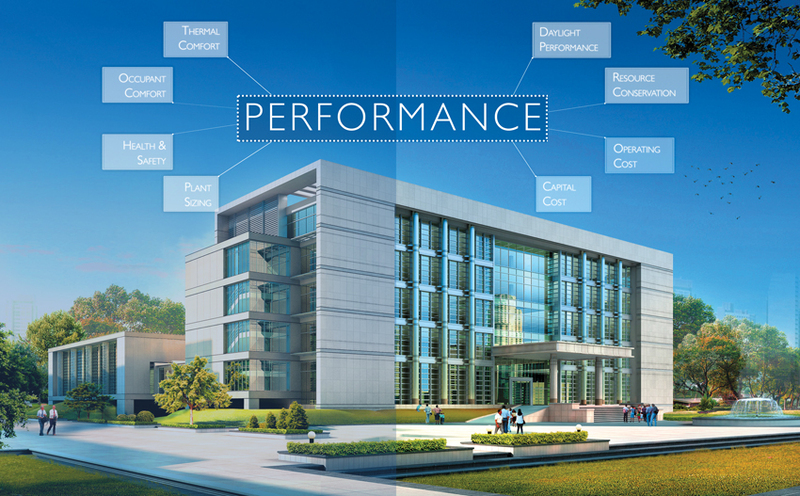 Performance-based design (PBD) is a goal-oriented design approach that specifically addresses performance-related criteria, such as energy use, operating cost, occupant comfort, daylighting, and HVAC size and cost, among others. At the heart of PBD is the intent to create an open and collaborative building process that includes architects, specialists, and engineers from the very beginning of a project. Unlike the traditional design process, PBD requires architects and designers to set project performance goals early in the design phase so that they can understand and influence the elements that are impacting the design’s performance. Once goals are set, analysis is used from the very start of the design process to assess the impact that various design decisions will have on performance goals. It is important to note that PBD is an approach to building design that uses iterative analysis to inform decisions, supporting optimum occupant experience, lowered resource use, and minimal negative environmental impact. PBD is an approach that works to meaningfully inform building design in a way that can impact everything from energy consumption and operating costs to occupant comfort and environmental impact, and it is used from schematics and conceptual design through to the construction phase. This holistic approach is what PBD is all about, and it can empower the architect in ways that were previously not possible. When using PBD in their practices, architects obtain continuous feedback throughout the design process. This iterative, analytical approach is beneficial to designers and projects because this feedback helps them better understand the spaces they are designing, see how design options will impact these spaces, and make more informed decisions about their design. As a result, architects can address performance issues as part of their creative process, all while improving building design and performance.